Andrew T. Newcomer - UGRIN ALEXANDER ZADICK, P.C. Andrew joined Ugrin in 2012. During law school, Andrew served as Articles Editor of the Washburn Law Journal and was inducted into The Order of Barristers. He graduated with a Certificate for Excellence in Advocacy with distinction. Before entering the practice of law, Andrew was a television anchor in Great Falls. He also provided commentary for broadcasts of football and basketball games on radio and television. The “Crabbed View of Corruption”: How the U.S. Supreme Court Has Given Corporations the Green Light to Gain Influence Over Politicians by Spending on Their Behalf [Citizens United v. Fed. Election Comm.,130 S. Ct. 876 (2010)], 50 Washburn L.J. 235 (2010). 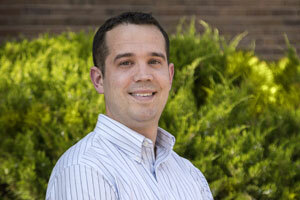 Andrew serves on the Board of Directors of the Boys & Girls Club of Cascade County. He also served as Treasurer of the Cascade County Bar Association from 2013 to 2015 and formerly volunteered as a mentor for Big Brothers and Big Sisters of Great Falls. Andrew and his wife, Erica, and sons, Jackson and Lincoln, enjoy being outdoors. Andrew enjoys hiking and photographing Montana’s outdoors and national parks. He also enjoys playing and watching sports and is a fan of the Ohio State Buckeyes, Cleveland Cavaliers, Cleveland Browns, and Cleveland Indians.